Authentic Mexican Restaurant Monterey: What are Dorilocos? Welcome back to the El Charrito blog! If you love Mexican food, you may be a bit appalled at the above title of our blog. 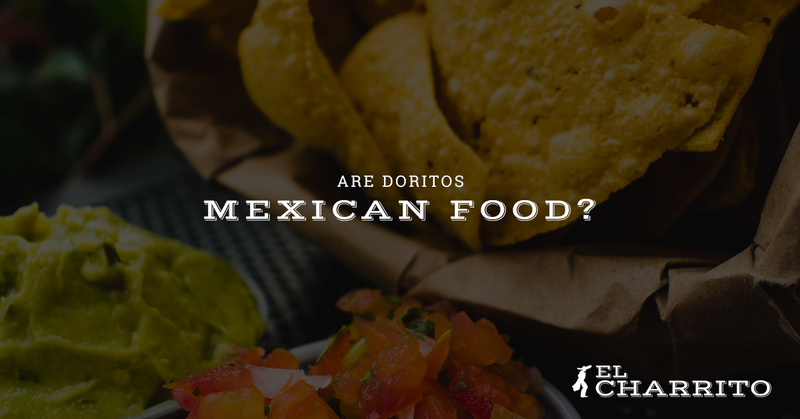 Your first response to the question posed may be a loud resounding “no, Doritos are not Mexican food.” However, you could be mistaken and here’s why. According to an article in the Washington Post, someone decided to take our favorite munchie food to the next level. For those who are interested, there are approximately 27 ingredients that create the crave-worthy flavor of these famous neon orange chips — and someone in Mexico City decided that that wasn’t enough. Dorilocos, translated “Crazy Doritos” is worthy of its name. According to the article, Crazy Doritos are a concoction of Nacho Cheese Doritos topped with grated carrots, jicama, cucumber, pickled pork rinds, peanuts, jellied candies, lime juice, chili powder (two kinds), and fruity syrup and hot sauce. After reading through the ingredient list of Crazy Nachos, you may have one of a few reactions: a) you think it sounds more like they cleaned the kitchen than made a delectable dish b) you may be intrigued enough to try it c) this snack may sound like munchie heaven. Whatever your reaction, Crazy Nachos may just be the tasty adventure that your taste buds are looking for. If you decide to partake, you can expect all of the above ingredients added — plus or minus some at your request — and to enjoy your Dorilocos out of an original Doritos bag slit on the side and with a fork. So, Are Doritos Mexican Food? Whether or not you turn up your nose at Dorliocos, Crazy Nachos originated on the streets of Mexico City and have slow made their way to the U.S. What’s more is that, according to this article, many south of the border are becoming more accepting of Americans “bastardization” of traditional Mexican food. Though many still appreciate, traditional flavors, most in Mexico City are a lot more open to interesting “takes” on traditional food than probably many Americans. What does this mean for us? No matter if you are open to trying new things or not, I think we can stand to be a little more open to new flavors. Though El Charrito’s authentic Mexican restaurant may not serve the Dorliocos, we might encourage you to embrace the attitude of those south of the border: be open to try new things! Whatever your view of Crazy Doritos, if you are hungry for Mexican flavors, come visit El Charrito! We are Monterey’s authentic Mexican restaurant that serves breakfast, lunch, and dinner — and our tortillas are always fresh! We provide a variety of breakfast burritos as well as traditional burritos, tortas, and bowls. Always excellently priced, get your fix of delicious Mexican flavors at El Charrito. Come in and see why we have been voted Monterey’s Best Burrito!